Who loves Pinterest as much as I do? I have spent the last year using Pinterest for my direct sales business. Creating my own original pins helps to funnel fresh eyes to my blog, my microblog, and direct sales products. Have you been creating your own pins only to see they are not getting shared? Frustrating right? My aim is to help you out. 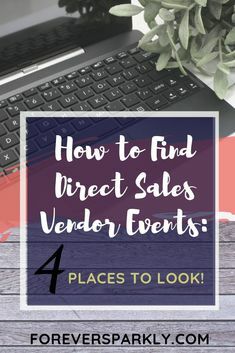 Here are 4 key things to remember when creating Pinterest pins for your direct sales business. Most Pinterest users are on a mobile device and use the Pinterest app. The app favors vertical pins and populates them in the smart feed. Horizontal pins are smaller and have a lower repin rate so vertical is the way to go. Use a graphics platform like Canva to create awesome vertical pins. They have a Pinterest template made in the optimal dimensions for Pinterest pins. Browse the Pinterest templates and use them for inspiration for your own original pins. Make sure to include your watermark or website on the pin to protect your original creation! Keywords that is. 😉 Pinterest is a search engine at its core. Using the right keywords in your description and on your pin image will help your pins gain visibility. Not only are the keywords on Pinterest important for others finding your pins, it helps your overall SEO with Google. Not sure what that means? I wrote a little about this here, and show examples of my original pins ranking on Google page 1. The more keyword friendly your pins and descriptions are, the greater the chance they will be found on Pinterest AND Google. That’s the power of Pinterest! Light, bright, pink, yellow, and blue pins fair really well on Pinterest. Coupled with great fonts and eye-catching images, you’ll want to create a pin that will make a Pinterest user stop. Think about your own pinning habits and what makes you pin something to one of your boards. I personally use Creative Market to find high-quality images to use. It’s also possible to create 4 images from 1 stunning stock photo. Using this technique will keep your pins looking fresh and new. I was scrolling through Pinterest (of course!) and noticed this pin right away. I immediately thought what a great idea for our makeup direct sales friends to recreate! I’ve said before to think about what makes you stop scrolling. Think of how you can recreate the same graphic for your own product and brand. Even better, create a secret board on Pinterest to keep all your “Pinspiration” pins so you have them handy when you are ready to make your own stunning pins! Following these 4 tips when creating Pinterest pins for your direct sales business will make you stand out from the rest of the pack. Your pins will gain visibility and continue to funnel a new audience to your websites. To learn how to pin original pins, make sure to sign up for the free password for my Direct Sellers Toolbox. There is a how-to video showing you step by step how to pin your own content on Pinterest! Wondering how I personally use Pinterest for my direct sales business? Read how Pinterest is one of the main ways I sell Origami Owl. I am #partyfree and proud of it! I have SO much to learn about Pinterest. It both fascinates and scares me!